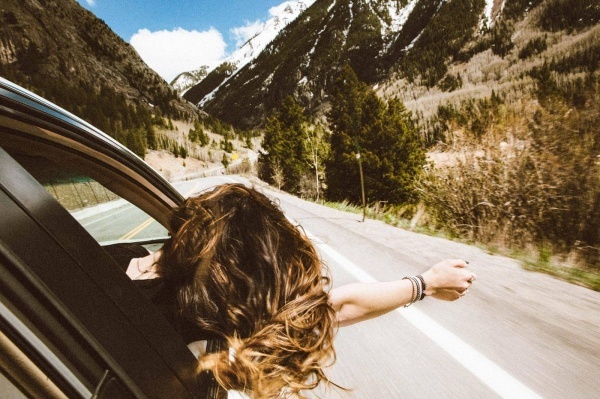 With spring break just on the horizon, comes the 20 hours road trips to come with it. For all you lucky students flying to your destinations…oh how I envy you. While some of you are staying home for spring break (Check out our last blog! ), the rest of us will be traveling/sitting in a car. From what I understand, sitting for longer than an hour or so is not good for you! Sure we can sit at our desks or in our offices, but we also have the freedom to stretch and stand whenever needed. In a car when you’re trying to get someone as fast as possible with the least amount of stops possible, that’s not the case. This is why it is so important to remember what you’re putting in your body during this trip. As much as I know you want to grab every chip and skittles bag possible, eating healthier will not only help keep you feeling good at your destination but also on the way there. 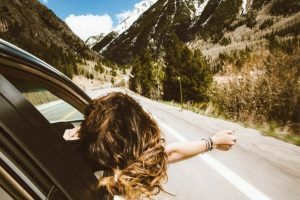 Here are a few tips for your trip! Not only are fruits SUPER easy to prepare/bring, but they also have a lot of nutrients in them along with natural hydration. Fruits can also substitute for your candy cravings during your ride. It’s a natural sweet! According to Healthline.com, chickpeas can help you keep your appetite under control. This is because the protein and fiber that come with eating them. These also can help get rid of all the chips. If you roast chickpeas in garlic powder or other various seasonings you choose, they can be the crunchy, salty snack you’re looking for. The article even said that eating a certain amount of chickpeas helped people eat less fast food, sign me up! One of my personal favorites of the bunch. This is one of the quickest and easiest snacks to make and it’s good for you too! “Energy” is in the name and energy is what is VERY much needed during a long drive. Check out our Youtube channel to see how to make them! Last but not least…water!! I probably say this at least once every blog but water is important especially while traveling. I hope these tips and tricks help with your upcoming trips. Safe driving, Warhawks! This entry was posted in Warhawk Fitness and tagged Alexis, Food, Healthy, Kisgen, Snacks, Tips, Travel by Tyler Kloss. Bookmark the permalink.